Just picked up this vintage bike with some missing components. 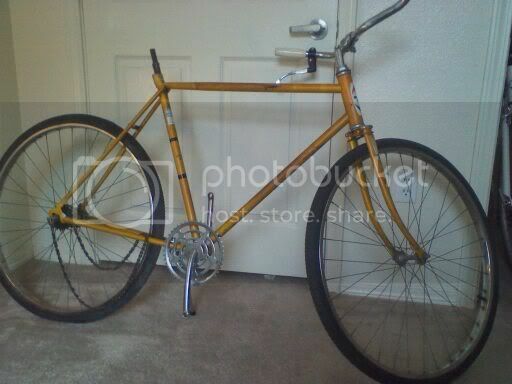 The bike is a 26 inch frame that has a gold or yellow metallic frame with mustache style handle bars, a rear hub with internal 3 speeds, and beat up chrome fenders. The frame has no rust but the wheels have some rust that may be removed with fine steel wool. Parts that are missing; the seat, seat post,seat post clamp ,one white handlebar grip, one brake lever, 3 speed shifter,brake cables,shift cable,brake calipers, pedals and chain. 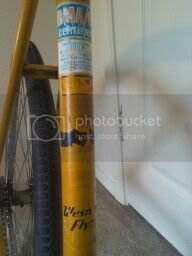 I would like to restore the bike to near original condition but does not need to be exact. I would like to replace the fenders because they are beat. I would also like to add reflectors close to the originals because I like to ride early evenings. The problem I am having is that the two LBS have young men in sales and bike techs. They have no clue what I need to get the bike up and running. One sales guy wanted to sell me BMX parts , a colored chain and gold pedals lol. I purchased a chain from one of LBS and the change is too small for the cogs. The size of the chain is 1/2 x 3/32 or it may be boxed wrong. Please help me identify the correct chain size and recommend parts that will look correct or similar for this bike. I also would like to know what size of 26 inch tire is correct for the bike. One of the old tires has 26 x 1 3/8 and looks a little fatter than the other tire. The other tire is very old and has no info on the tire. I would prefer to buy the parts at my local LBS if possible. Any suggestions. P S to powder coat or not? The correct chain is probably 1/2 x 1/8" which is indeed a BMX chain. Alternately you could change the cog on the hub to a 3/32 one, which may sound crazy at first but most of us who ride 3-speeds prefer to lower the factory gearing by installing a bigger cog than what they came with. It is possible to roll out dents in fenders; many bike shops used to have a tool for this, but the young men at your LBS probably wouldn't know what the tool looks like, let alone how to use it. What kind of hub does it have, Shimano (3.3.3), Sturmey Archer or something else? We need to know that before we can tell you what parts you need. The frame is probably not valuable enough to merit powder coat. Photos would help. The LBS guy had the right idea: This is an American bike, and American size standards carried over to BMX. This should have a one piece crank, so you'll need pedals with 1/2" axles. The bars are probably 7/8" instead of the more common 1". You can get repro white grips cheap, or shims to run 1" grips. 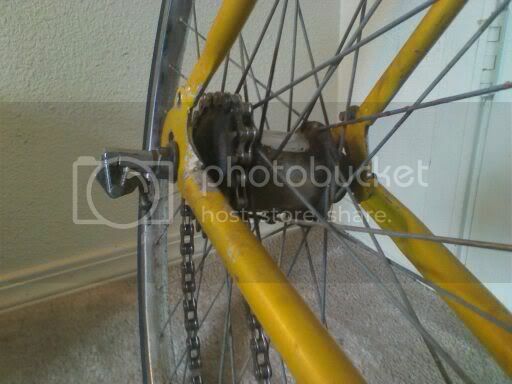 1/2" single speed chain should work on this bike. If you do change the rear cog, you'll still need 1/2" chain to go over the front chainring. Seat post size is probably either 1" (25.4mm) or 15/16" (23.81mm.) Your LBS should have a measuring device to find the exact size. 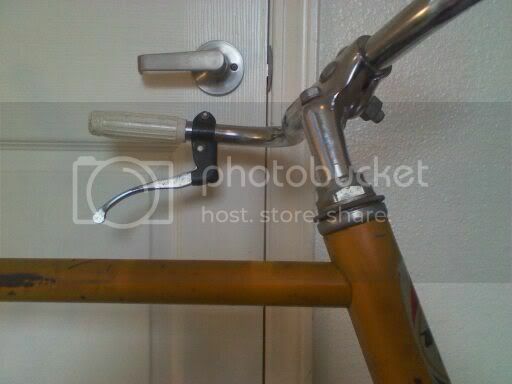 You can pick up a seatpost that will work with modern clamps. You'll need to get 26 1 3/8" (590 mm ISO) replacement tires. These are larger in diameter than the more common 26" decimal-sized tires (559 mm ISO) used on cruisers and mountain bikes. Probably. Western did sell a few Raleigh Sports with their name on the headbadge. The easiest way to tell the difference will be the crank: If there's a nut next to the bottom bracket shell on the non-drive side, it's a one piece crank and American. If the crank arm looks like it's part of a separate shaft, it's a cottered crank and British. Old Fat Wheels, where are you? Maybe we can help you find a good bike shop who knows about this stuff. I asked my local bike shop for esoteric parts for my old bikes, and one of the managers referred me to a not-quite-local shop where the owner likes and stocks all kinds of that stuff. I really appreciate that, and I am still a patron of the local shop. In fact, I recently became a part-time employee, too. Rudi, I don't recommend a 3/32" chain. He'd have to change the chainring also. 1/8" are not at all hard to find. You just may find them in funny colors. But black and brown chains aren't hard to find, either. I don't recommend a 3/32" chain. He'd have to change the chainring also. I live in the California central valley. Visalia , California between Fresno and Bakersfield. 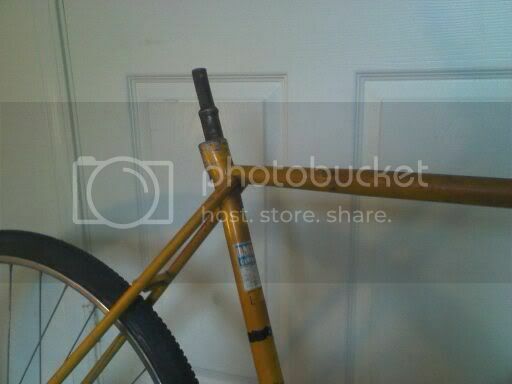 Looks like a rather low end frame with some significant damage to the seat tube and some mismatched parts. It has a one piece 1/8 chainwheel mated to a Shimano 3 speed (which has a 3/32 drive cog).... will bet that it was originally set up with a coaster hub with a 1/8 cog. You may be able to see marks on the non drive side chainstay where the actuator arm bracket may have sat and this would confirm the coaster brake theory. 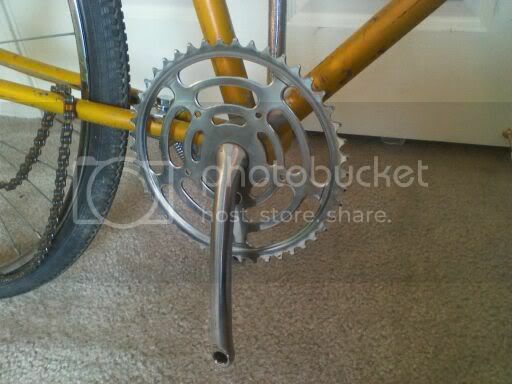 The bike could be run as a 3 speed with a 1/8 chain as this works with 3/32 cogs.